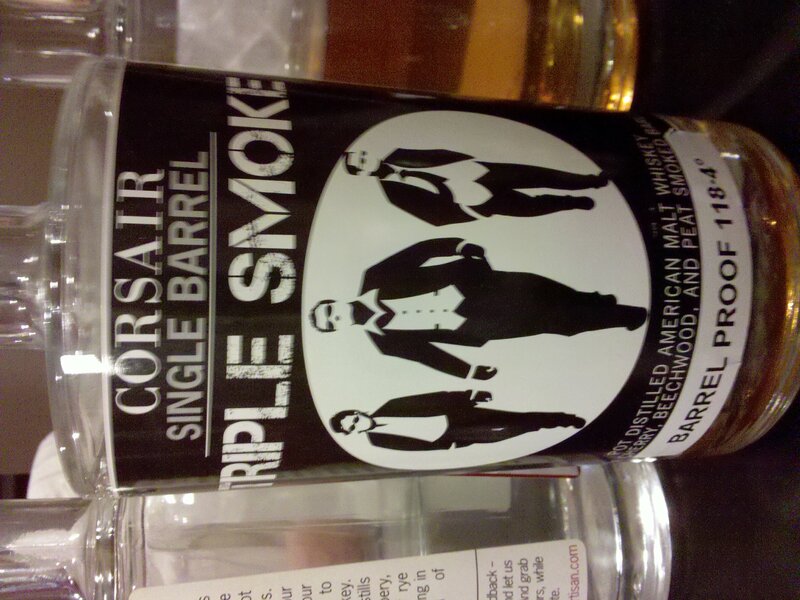 Notes: Pot distilled American malt whiskey from cherry, beechwood, and peat smoked barley. Nose: A bold smokiness with background of sugar. Taste: Peat comes through on front end and becomes sugar-coated toward the middle with some hints of the cherry. “Scotch like” in a small way and backed and well-balanced with sweetness. Finish: Nice balance of grain and sweetness. Whiskey review by BourbonBlog.com’s Tom Fischer and Stephen Dennison along with Adam Meyer and Brad Kerrick of The Bourbon Review. 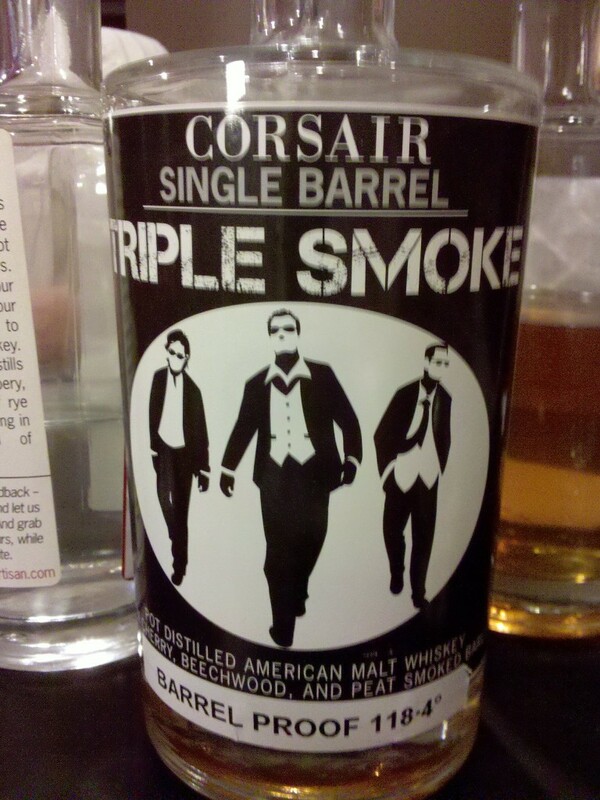 I reviewed Corsair’s Triple Smoke too, but found it to be different than you did, especially the nose. I’ve heard others say that it is inconsistent from one bottle to the next.